Struggling with Cold Morning Starts? You would be hard-pressed to find anybody who finds it easy to wake up and immediately jump out of bed ready to take on the day. Yet, this is exactly what we expect from our vehicles each morning. The lower the temperature drops, the more difficult it is for everybody to get out of bed. And while most people rely on a nice hot shower or a big cup of coffee, these aren’t going to be much help for your vehicle. If you regularly warm up your vehicle each morning or you have started to notice that it isn’t doing too well during cold temperatures, below is a great post from TenEyck Distributing which aims to help. The best place we can start is with a very basic understanding of what is happening inside your engine as you drive. In order to get you and your passengers from A to B, metal parts ranging in small to large sizes and all with their own shape work together to keep your motor running. The interactions these parts have varies, ranging from grinding, sliding, or even pushing against each other. Whatever is needed, these parts do it. If you can think back to your science classes from high-school, metal objects grinding against each other is the quickest way to cause friction. Over time, this friction starts to cause damage to your engine. The best defense your engine has against friction is your engine oil. Once you or your mechanic has poured engine or motor oil into your engine, it makes its way through your engine system, coating each of the metal parts with a protective barrier of film. When in place, this film prevents friction by allowing each engine part to, instead of grind, merely slide against each other. Click here to buy Signature Series 0W-40 Synthetic Motor Oil to help minimize friction and the damage it can cause. To learn more, check out the online store or speak with an expert at TenEyck Distributing to find out how a synthetic oil change can benefit your engine. Call today at (208) 589-4660. Does Warming up Your Engine Really Help? Like all motorists, you have likely been taught along the way that you should be warming up your vehicle before you drive it. Especially if the weather is cold. On the surface, it makes a fair bit of sense. Much like you need a shower or hot coffee, why too wouldn’t your vehicle benefit from being warmed up? The truth is that warming up your engine probably isn’t what you think it is. If you put conventional oil in your engine or the oil inside has come to the end of its lifespan, as the temperature drops overnight, your oil begins to clump up around your engine, retracting from the small places and parts it once protected. This leaves your engine parts unprotected and susceptible to damage. To once again start protecting your engine, the oil needs to heat up so that it becomes thin enough to once more make its way around your engine parts and system. This means that the act of warming up your vehicle is really just warming up your engine oil. Of course, this means that while your oil is warming up, your engine is running while its parts are unprotected. This comes with two problems. The first is that, until your oil has warmed up and is protecting your parts, it’s just metal hitting against metal. Over time, this action scrapes and chips away small shards of metal, resulting in the need to replace parts in your engine earlier than you need to and often earlier than you can afford to. The second problem is a matter of engine performance. The small metal pieces which are chipped away don’t dissolve. Instead, they travel along with your oil and make their way through your engine. As they do, they scrape against other parts, causing even more damage. However, often, they can become lodged in between parts. When this occurs, these parts are not able to complete their motion and do their job, resulting in a reduction in your engine performance. The best way to prevent this type of damage from occurring is by giving your vehicle a synthetic oil change. 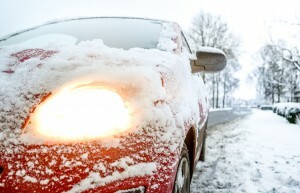 By design, synthetic oil resists clumping and maintains its protective consistency during cold weather. This means that, instead of causing damage to your engine while you warm up your conventional engine oil, synthetic oil is ready to go as soon as you turn your ignition key. No more needing to warm up your oil just to drive. To find out more about the benefits of a synthetic oil change in Saint George, UT, speak with an expert on the subject who can help. Call TenEyck Distributing today at (208) 589-4660 and have a friendly chat about your vehicle and find out which AMSOIL products can help reduce engine wear and extend the lifespan of your engine.